A theme is a combination of pictures, colors, and sounds on your computer. 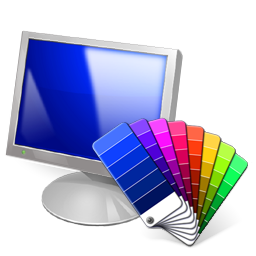 It includes a desktop background, a screen saver, a window border color, and a sound scheme. Some themes might also include desktop icons and mouse pointers. 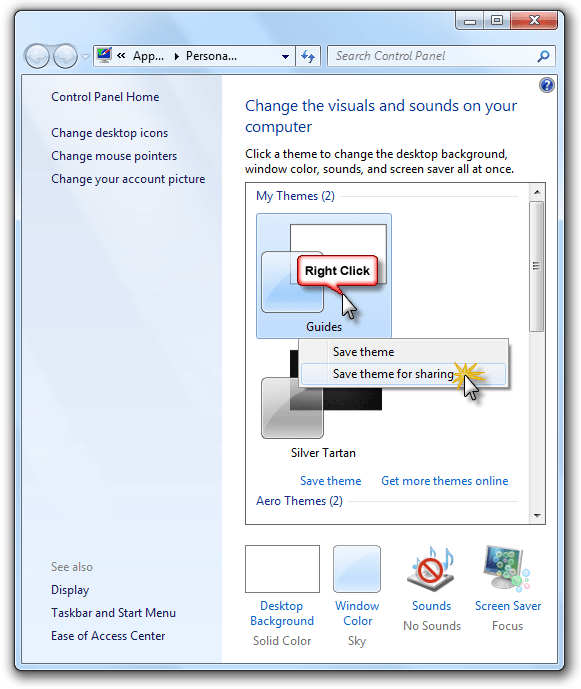 Here’s a quick guide on saving themes for sharing in Windows 7. Note: You have to apply the theme to your system before you have the context menu option to save for sharing. Also, these themes will not work in Vista or XP. Start by right clicking the desktop and choosing Personalize from the context menu. Make sure the theme is applied to your system and then, right click on it. Choose Save theme for sharing. Choose where you want to save it to, name it and hit Save. Saving will take a few seconds to finish. Right click on your saved theme and choose Send to > Compressed (zipped) folder. You can then upload it to places like SkyDrive, GMail, MediaFire etc. And share the link, check out the forums for some shared themes.